We know that climat e change will bring more frequent and intense extreme weather events. Less discussed is the likelihood that very different types of extreme events, sometimes within a very short span of time, are increasingly likely to occur in the same place. In particular, widely varying water-related events – whether there is too much water or not enough, could become a destructive, see-sawing norm. Below is a look at three locations around the world currently making headlines for having to manage both drought and flood extremes, all in a very short period of time. The United Kingdom. 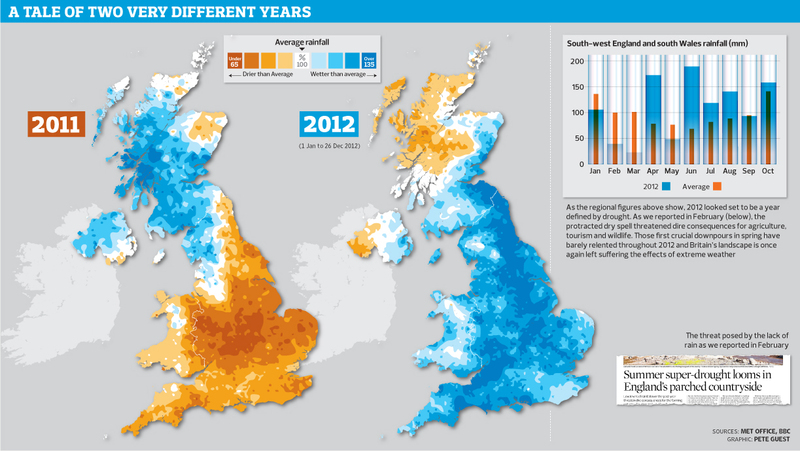 The UK went from one of the driest years on record (2011), to the wettest (2012), and with it an extensive list of disruptions and damage. Studies show that the wet extremes are linked to climate change, and the Met Office notes that extreme rainfall for the UK is increasing. Here is a poignant image showing the region under drought and under flood conditions. The Andes. A series of studies on the glaciers of the Andes indicates that the region will see a period of repeated extreme flooding, followed by drought. The floods and droughts could have serious consequences for hydroelectric power production, as well as sharing and management of the erratic water supply by multiple countries dependent on the glacial waters. Sri Lanka. 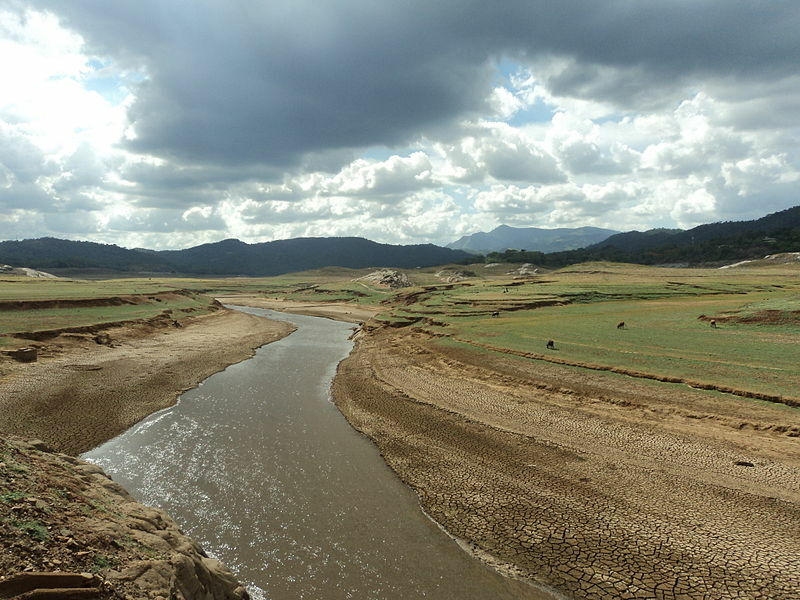 Sri Lanka experienced a year of extreme drought and floods. The end-of-year torrential rains and flooding came on the heels of ten months of drought. The drought destroyed over 20% of the secondary rice crop, putting thousands of farmers at risk of food insecurity, and the floods displaced over 30,000 people. In short, it is not always a question of either too much water, or too little. It may often be both. Developing the institutional capacity to predict and respond to multiple types of climatic events will be of critical importance to the each of these regions, and other parts of the world. By Caitlin Werrell and Francesco Femia in climate and security, risk, water on January 8, 2013 . I am sat in my home in Sydney, Australia. Yesterday it was 38 degC at 8pm, tonight (24 hours later) its 20 degC. It seems that the ‘both’ happens in very short spaces of time too.